Doing well. I’ve had two of these for six months now. I don’t discharge them at more than 10 amps and I recharge them on the same day after using them. The are doing well, charging up to about 14V. I’m glad I bought them. Good quality. chained two of them for 24v and placed in an older Think Electric bike. good for 14 miles on full power. charged with original SLA charger. 12 Volt Lithium batteries has been a perfect success! Wired in series. My application for a pair of these 10 Amp Hour, 12 Volt Lithium batteries has been a perfect success! Wired in series, they provide the 24-26 volts needed to power my electric bike. I made a wiring connector that puts the batteries in parallel for charging with my 12-14 Volt auto battery charger, and series when connected to the bike. The folks at Dakota Lithium were very helpful when I asked a question about chargers. They sent my order right away, and it arrived well before I expected. Their low price for a lithium ion battery of this capacity attracted my attention too. Having replaced a pair of similar sized SLA batteries, I can tell you that the performance is awesome! I love the dramatically lighter weight and much greater run time I get with these lithium batteries. After two months of use I have no complaints or disappointments. Great product, great vendor support, and a great price! Would buy again in a New York minute. Ordered 4 for use with ultra high wattage 48v ebike–very light in weight and seem sealed well against the elements. Very happy with performance–can’t speak for range as am using them with 1500 watt motor. Friendliest customer service on the planet….. ( they called me to ask if I was happy with product ) would buy again in a New York minute. Awesome! I switched out my crappy lead acid batteries that came with my e300s Razor Scooter with a couple Dakota lithiums. I weigh like 245 and it improved my distance traveled from 2 to 5 miles. I was just coasting during mile 5 like “really?”. So far they perform well. Much less voltage drop than 7/8AH SLA while putting out 200W. Installed these in the Razor Dirt Quad and they charge nicely in a 2 series 24V config, on a standard electronic lead acid charger at 2.5A rate. I have a Watts Up monitor installed and will share the Lead acid vs LFP results soon. When I received them they were near full discharge. They both took exactly 120Wh to recharge until the BMS finished the charge cycle. Used for Razor dirt quad testing with Watts Up. I put them to a really hard run in my velixor fish flasher and they did really well. Setting them up was easy. I’m going to buy more when the ice firms up. My testing showed it exceeded advertised capacity at 10.1 Ah with 97% charge efficiency. This battery actually exceeded it’s rated capacity in my tests. I did two full discharge/recharge cycles, and after a full discharge, it took 10.4 amp hours of charge, and after putting those 10.4 amp hours of charge into the battery I was able to pull 10.1 amp hours out. 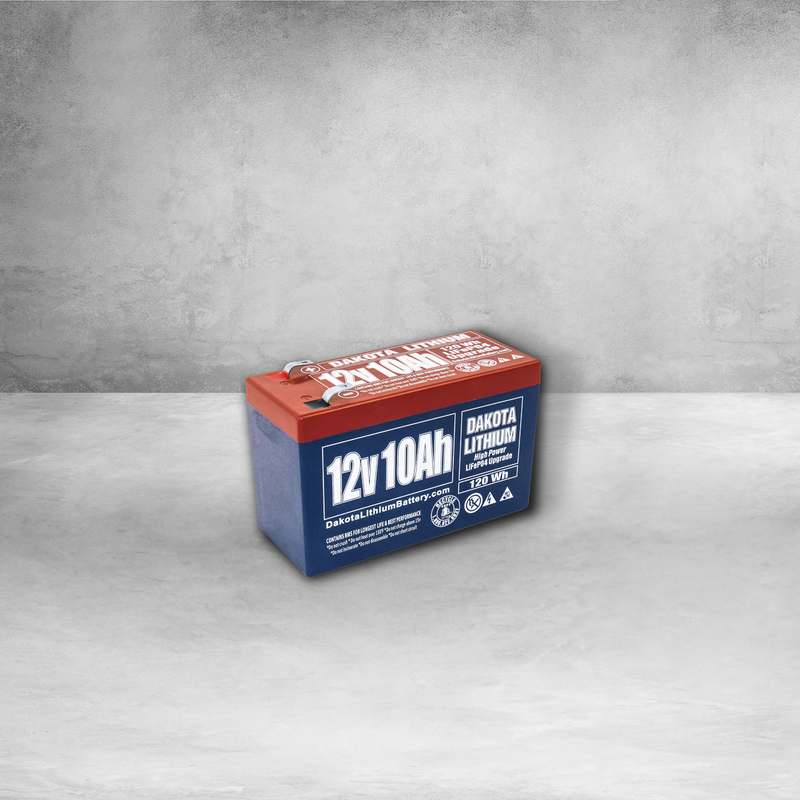 Generally, most batteries are advertised at their “actual”/rated capacity rather than “usable” capacity. For lithium batteries the “usable” capacity is generally only about 80% of the rated/advertised capacity. So I was quite pleased to see that I could pull over 10 amp hours out of this battery without pulling it’s voltage under 11.2 volts. 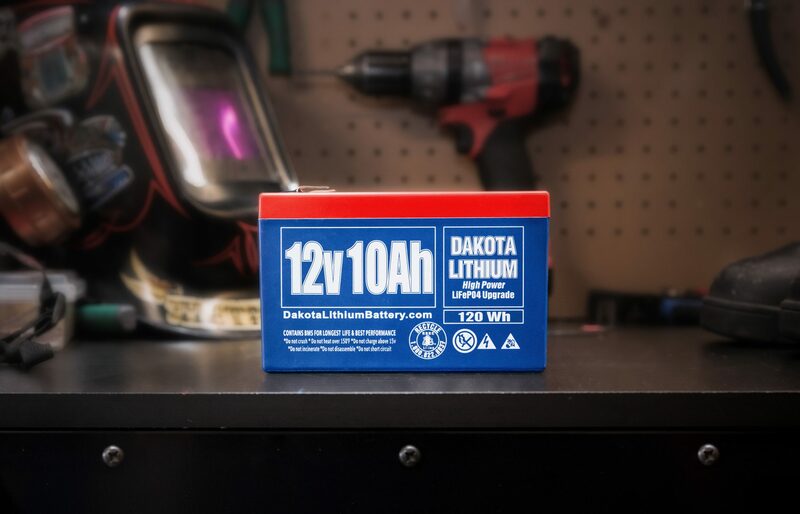 (Dakota Lithium/Clean Republic lists the discharge voltage as being able to go as low as 9.2V, but it’s not good to discharge lithium batteries under 11V generally) For the charge efficiency, see the pictures attached: Putting 10.448 Ah into the battery yields 10.13 Ah out of the battery. 10.13 / 10.448 = 96.95% That’s incredibly efficient. On an SLA battery you’re lucky to hit 80% efficiency and only about 50% of the rated capacity is usable. 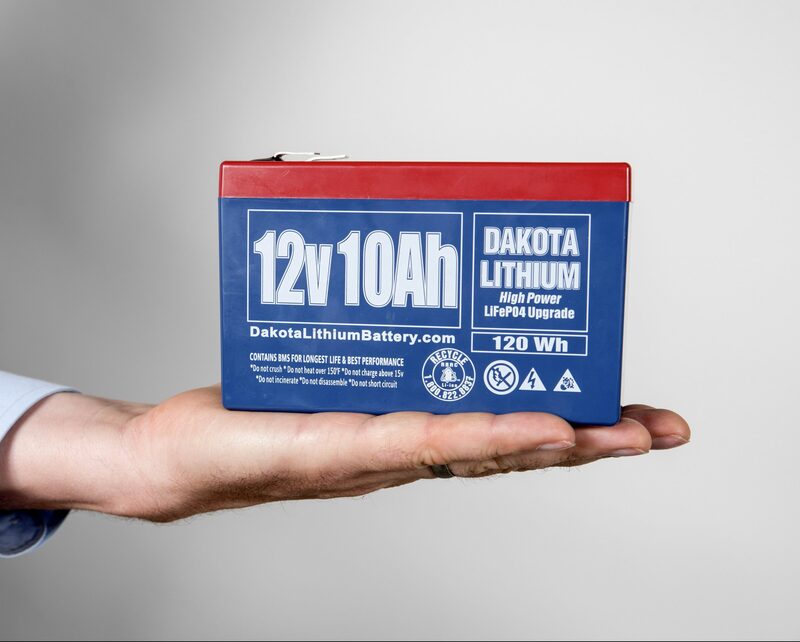 So while this battery is about 3-4 times more expensive than an SLA of equal “rated” size, this battery is far more efficient, and gives you twice as much “usable” capacity as the equally sized SLA gives you and weighs 1/3 as much. It’s also rated for 2,000 cycles vs the typical 400-500 for an SLA. So over the lifetime of this battery you would need to buy roughly 8 SLA batteries at $25/pop ($200 total) to equal the lifetime usable capacity of this battery at $99. 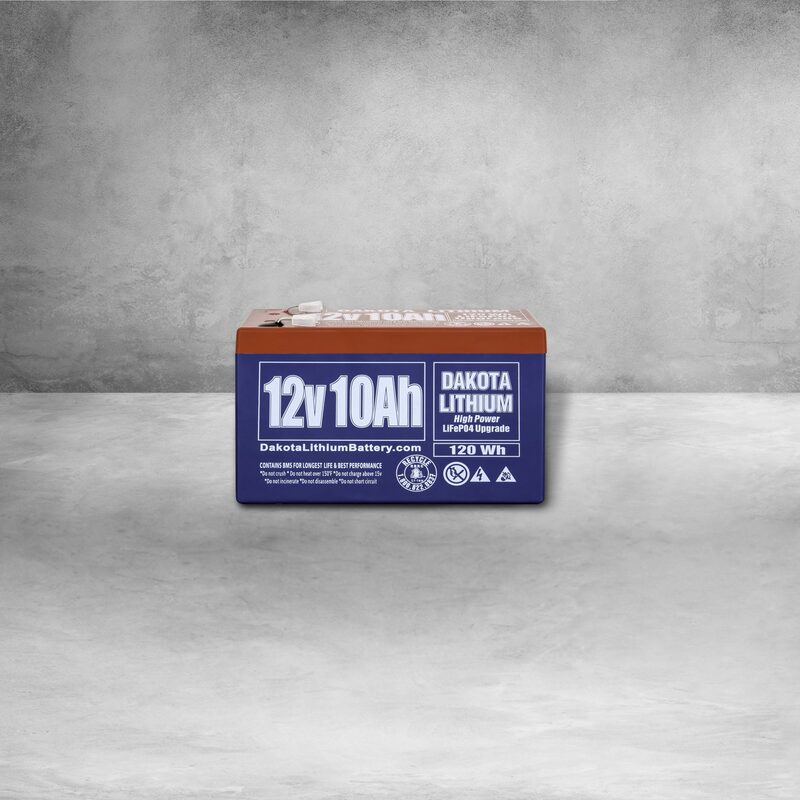 This type batt seems to work well in UPS. Bought few more for other UPSs. Thx. Xtra POC battery. Met my expectations for use on my POC. Love these Batteries! This is my third battery purchase. Used 2 for a 24V scooter, now added a 3rd for a 36v ebike wheel. These things are such an improvement over SLAs! Carrying around 25 lbs of SLAs makes NO sense. At less than 10 lbs for 3 of these the bike feels so much better and if they truly are good for 2000 charges they will save money in the long run. My range is great now and I usually arrive back home with 3 battery indicator lights still lit!! Love them! Dakota Lithium has great customer service if you need them.